You are currently browsing the tag archive for the ‘recipes’ tag. Tom’s grandmother used to make chocolate pudding for us. I remember the first time I had it, it was different. It had nuts in it. Turns out that it was My-T-Fine pudding with nuts. Tiny little chopped nuts inside chocolate pudding. In the years since, I had found it a few times and made it, bringing back sweet (no pun intended) memories of a special lady. Then we couldn’t find it. I am not even sure that it is even made anymore. This afternoon, we set about to rectify that and make our own version. First, I made the chocolate pudding with some delicious dutch process cocoa we nabbed down at the Brattleboro Co-op when we were down there last night for dinner after a closing I had in the area. Then, while the pudding was cooking, I chopped up slivered almonds into tiny pieces and added them to the cooked pudding. The pudding went into the fridge and we had it for dessert just a little while ago. It was delicious. Mix the first four ingredients together in a heavy bottomed pot. Add the 4 cups of milk (we used Lactaid skim milk so my husband could enjoy it with any intestinal issues). Cook over medium heat, stirring occasionally, until it comes to a boil. Then stir constantly for two minutes more. Remove from heat and add 2 T. butter (I used unsalted) and 2 t. vanilla extract. Then I stirred in the chopped almonds, about 1/2 cup’s worth. Put them into the fridge for at least two hours to set and form that great chocolate pudding “skin”. This made six ramekins of pudding. Here’s the recipe for bracciole, let me say up front that I cannot take any credit for the recipe, it is my mom’s and my grandma’s recipe. I am merely proud that I am able to continue the tradition. Take meat and season with salt and pepper. Add one chopped clove of garlic to each piece of meat. Roll each piece up. I find that it is easiest to roll up starting from the smaller or thinner end. If any of the raisins or cheese fall out as you are rolling, just stick them back inside. When meat is rolled, tie each with a piece of butcher’s twine. Place in tomato sauce of your choice and cook on low heat for 3-4 hours. You could probably put them into a slow cooker with your sauce and cook for 6-8 hours although I have not tried this myself. When ready to serve, remove each bracciole packet from sauce, cut the twine off (this is important, no one likes string in their dinner! ), slice each with a sharp knife into four pieces and serve. Bagel chips are a popular snack. You can pay about $3.50 or so and grab yourself a bag at the supermarket. But, the next time you buy bagels and have some sticking around, it’s really easy to make them yourself. Usually when I buy bagels, I will buy extra with the thought of bagel chips in mind. When you make bagel chips yourself, you can also season them as you like, either by buying a particular type of bagel (onion, garlic) or season them as you make them. You can also adjust the salt as is best for your dietary preferences. Place the sliced bagels on a sheet in your toaster oven. Brush or spray with canola oil to coat and toast for about 4 minutes per batch. Keep an eye on the first batch so you can adjust your toasting time accordingly. I have had some rather crunchy chips that I thought needed a little more time and it turned out, the “little more” was too much. When they are nicely toasted, season with salt to your taste. If you are seasoning them yourself, now would also be a good time to sprinkle your garlic or onion powder or other seasoning. Toss into a bowl and enjoy. At our house, these don’t last very long at all. If you really wanted to make bagel chips completely homemade, you could also make your own bagels first. Check out this link for that post. 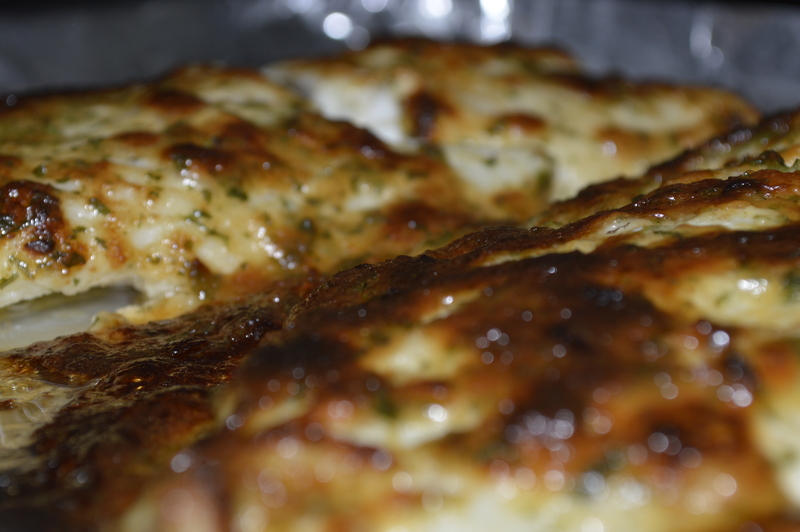 One of my favorite hobbies is to cook, must be part of my Italian background because I love to see people eat. Mangia, Mangia, as my grandmother would say. It was never much of a problem with four men in the house – there was always someone happy to eat. Now, there are two of us in the house and the cooking presents a bit more of challenge, you see I am used to cooking…a lot (again, the Italian coming through). It’s difficult to figure out how to just make dinner for two, day after day. We have had our share of good meals and our share of popcorn or PBJ for dinner when neither of us could seem to decide what we should do about that meal. I think, however, that I am coming around. 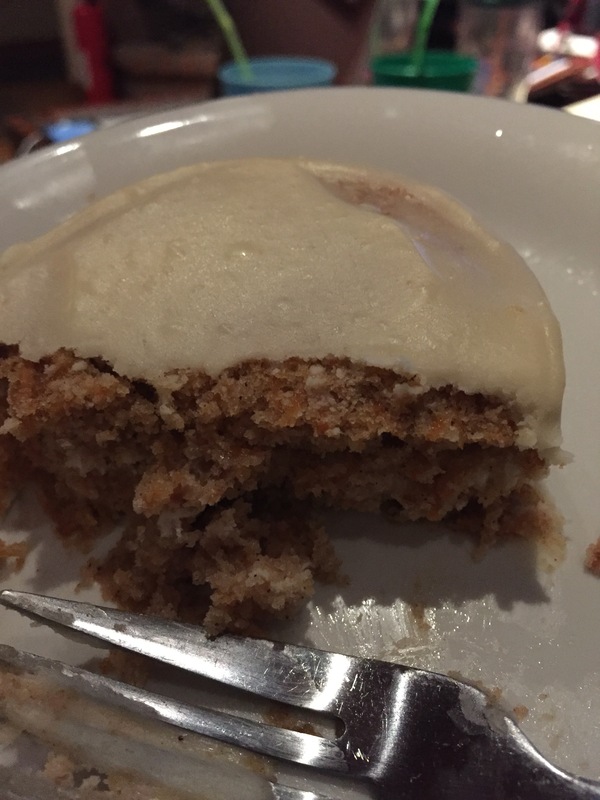 Over the weekend, we felt like carrot cake, knowing full well that we couldn’t eat a whole carrot cake even if we spaced it out over days (carrot cake day #1 is great, day #2 is good, day #3 really, carrot cake again?) so I figured out that I would make a small carrot cake. I searched around and I found a recipe for a small carrot cake but it required a 6 inch cake pan. I searched around in the hopes that I could find something that I could use but not 6 inch cake pan or anything close to it. So I figured I would work with what I had, ramekins and make little carrot cakes – two of them. They came out resembling little muffins, I cut off the raised tops to flatten them to look more like cakes, then cut each cake in half so there were two layers. The recipe called for a maple cream cheese frosting which was spread on top of one “layer” and then iced on the whole cake–it was delicious! Two little individual carrot cakes for dinner earlier this week. The recipe was adapted from Betty Crocker’s website. I omitted raisins and walnuts which could certainly be added as you desire. Spray 2 (6-oz) ramekins with cooking spray. In small bowl, stir together flour, baking powder, salt, ginger, cinnamon and nutmeg; set aside. In medium bowl, beat egg white, brown sugar, oil, milk and vanilla with wire whisk until blended. Stir in flour mixture until combined; stir in carrots. Divide batter evenly between ramekins. Set ramekins on baking sheet and place in oven. Bake 17 minutes or until cakes are set and spring back when touched lightly in center. Cool in ramekins 5 minutes; remove from ramekins to cooling rack. Cool completely. Level cake layers with a serrated knife. For frosting, in small bowl, beat together cream cheese and butter until blended. Beat in powdered sugar and maple syrup until smooth. Fill and frost layers with maple-cream cheese frosting. For those who asked, here is my go-to recipe for the battered onion rings that we put on our salads. I take two onions and thinly slice and separate into rings. In a small bowl I combine the masa harina (usually 1 cup) with all purpose flour (1/2 cup) and the seasonings. Add enough water to make a batter that is not runny. Add onion rings to batter and mix to coat. Heat canola oil and place onion rings into hot oil. Cook until golden on one side and flip – do the same with the other side. Remove from oil onto tray with paper towel to absorb excess oil. Salt to taste. I thought I’d share some photos of tonight’s dinner – a fish dinner since Tim is not home and making fish when he can’t eat it (and can really die from eating it) is just downright mean. 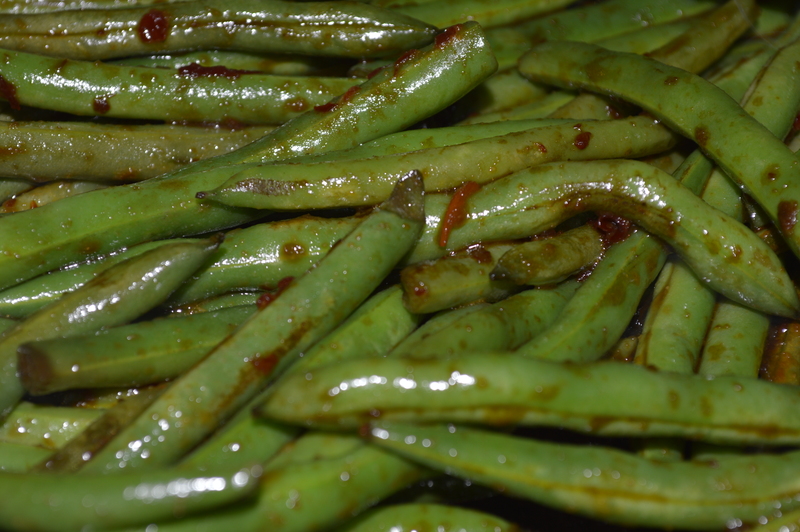 So, tonight’s meal was haddock with a miso-mayo seasoned glaze and oriental style green beans with chili garlic sauce, soy sauce and garlic. 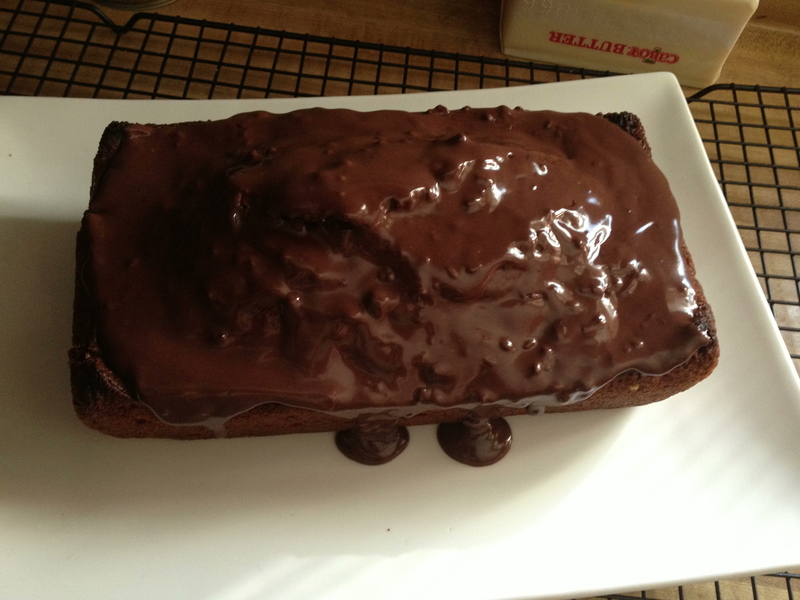 The other day I found this recipe for chocolate banana bread. I tried it, it was a hit at our house, even among those that didn’t like banana bread. Personally, I think the chocolate did the trick. How can anyone not like chocolate? 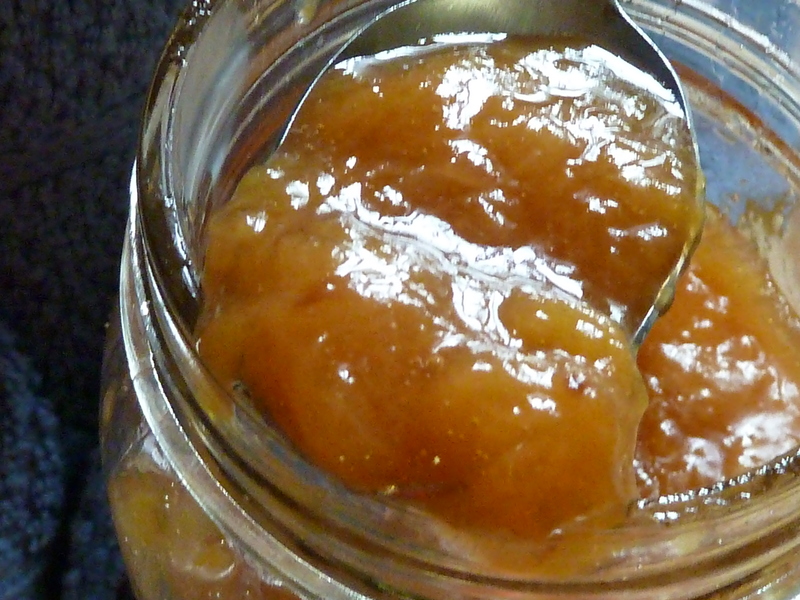 I made these peach preserves over the weekend with fresh peaches. Oh my goodness, are they good. I found the recipe here at Natasha’s Kitchen and I suggest that you hop on over there to check it out. I adapted it a bit to add a touch of vanilla (about 1 teaspoon) to the peaches before I jarred them. I had my doubts since the recipe takes a couple days to complete, but it seems that it is well worth the wait. Tim and I went blueberry picking and I may go again today since one of the blueberry pick-your-own places indicated on FB that today is the last day of picking for the season. 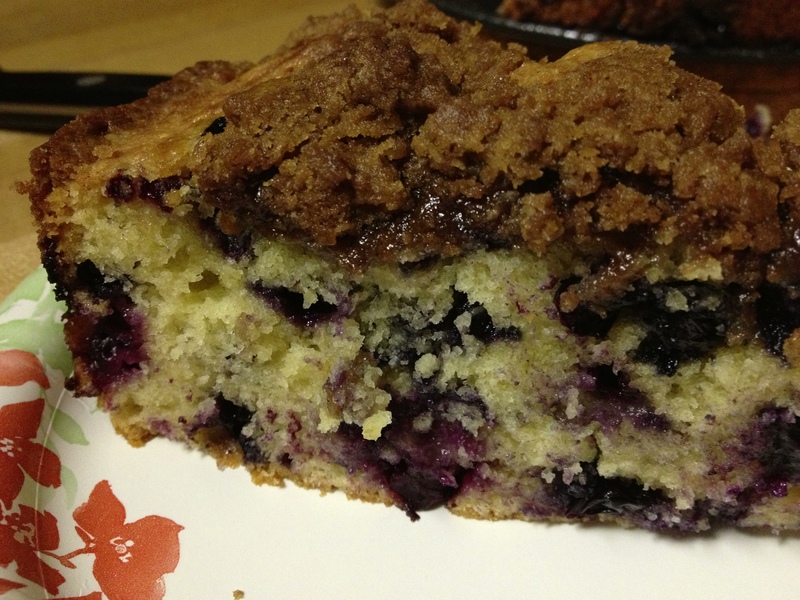 We came home with two bags full of blueberries and I made a blueberry muffin cake. 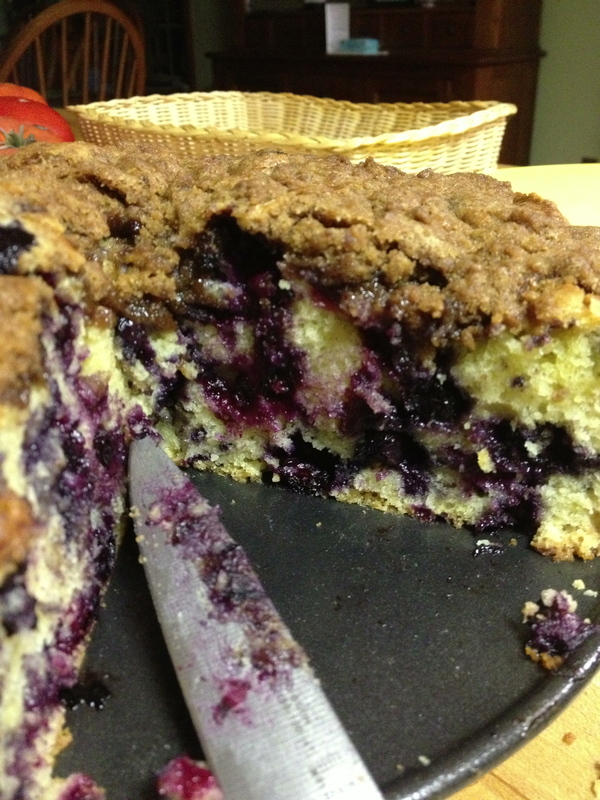 The original recipe is from Fine Cooking but I tweaked it just a bit to add a streusel topping, the same as on the blueberry muffins that I make. It definitely took the cake, which was delicious without the topping to a different level. Position a rack in the center of the oven and heat the oven to 350°F. Butter or spray the bottom and sides of a 9-inch round springform pan. Mix the flour, sugar, baking powder, and salt into a large bowl. In a small bowl, whisk the butter, milk, eggs, and vanilla. 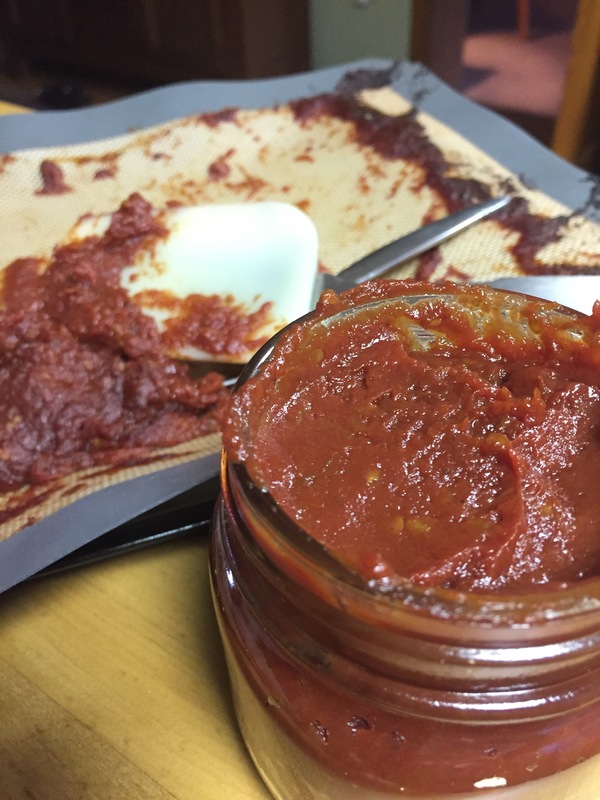 Using a silicone spatula, stir the wet ingredients into the dry ingredients just until incorporated. Fold in the berries. Scrape the batter into the prepared pan, spreading it evenly. Tap the pan on the counter once or twice to break any air bubbles. Mix together the topping ingredients which should make crumbles. Spread the crumbled streusel topping over the cake batter. 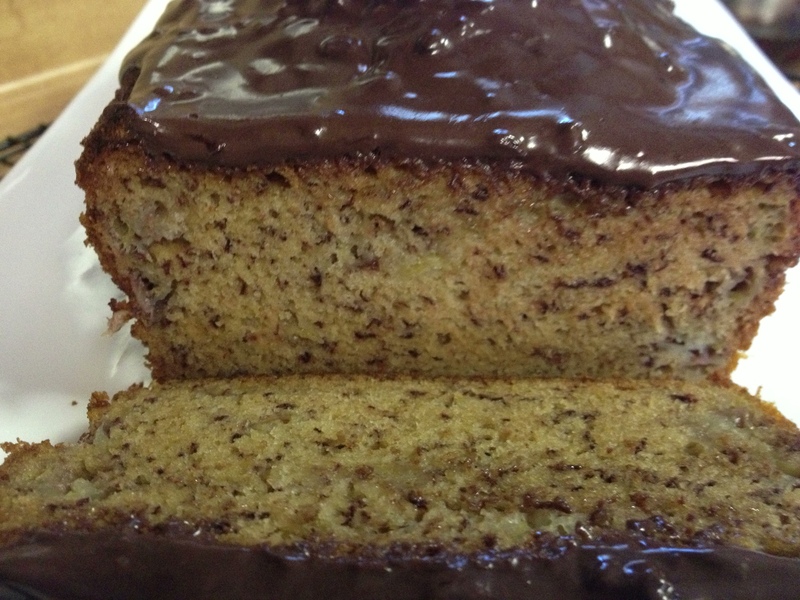 Bake until golden-brown and a tester inserted in the center of the cake comes out clean. The original recipe says the cooking time is 45-55 minutes which is what worked without the streusel. With the streusel topping, add an extra 15-20 minutes, check occasionally until a tester comes out clean. Cool on a wire rack for 10 to 15 minutes. Run a paring knife around the edge of the cake and remove the side of the pan. Transfer the cake to a serving plate and serve warm or at room temperature. Ours didn’t make it to the cooling phase. It was steaming still when we removed it from the pan to eat with a cup of tea the other night for dessert.